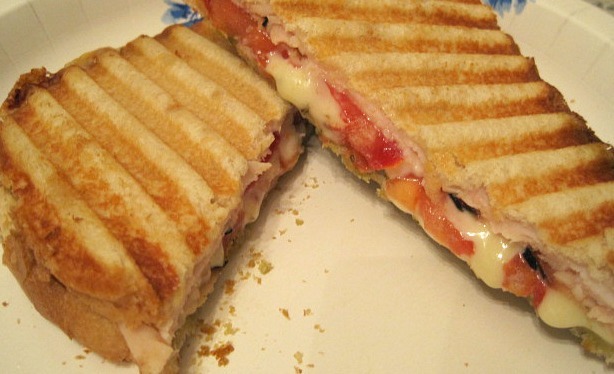 One of my favorite ways to use Kelapo coconut oil cooking spray is when I make paninis! 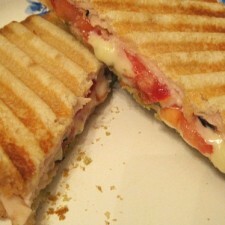 For lunch last weekend I made a Caprese Panini using the spray and it turned out amazing! Assemble sandwich. Heat panini press until hot. Spray both sides of the press with a light coating of coconut oil cooking spray. Place sandwich on press and close until the bread is lightly toasted and the cheese is melted. The coconut oil spray will allow you to remove the sandwich with no sticking and very little clean up.